Very good, Old School. Please allow me to play devils advocate and give rebuttal to your article. According to other OO's (some Landstar) in other forums, I find the following a common logical scenario. Money is not the only motivator to becoming an OO. Some want to control their time off, not just weekends. More often a third to half of the year, intermittently. Their success is that they don't accept any loads that don't fit into their minimum guidelines to a pre determined profit/net. Many find business directly with a company, bypassing brokers. Funding their own operations with cash can alleviate the immediate cost of time (this is old school). Thus you don't put any miles on your most expensive asset, the tractor, unless it is paying well. With no payments, time is not of essence. In the end they don't need to run their tractors more than 100,000 miles per year and a new tractor with warranty can last as much as five to six years, before trading it in for a new one. Obviously, just like any small business, this is not the path for everyone. Most small businesses fail. Becoming an OO is no different than a small business. There are many reasons for failure, often poor money management is first main reason. Most drivers should remain company drivers. But, undeniable, there are successful OO's operating independently. How about a whole authority called Landstar, with 10,000 OO's. I agree, this talk of OO's is not for the new driver. How is that your GPS was so far off? If you did match up the directions on your GPS with your paper maps, how did you come to be off, the second time? Good recovery though, good thinking. I use Google maps for the automobile all the time on my GPS phone. It's never off. If you haven't seen the breakdowns by Rainy I'd check them out, although those are LO with prime. Thank you. Yes, I did read the LO with Prime thread by Rainy. If anything, it just reconfirmed my suspicions about LO's or for the matter OO's, signing on with carriers. It's a stacked deck against you, that could go awry at any point, since you hold a short hand and compete with their own company drivers. But, undeniable, there are successful OO's operating independently. To deny this is just as much a fallacy as to describe, since we don't get any good OO's laying out there successful formula here on the forum, then there is no such thing. Mark, these kind of comments are what make it so obvious that you don't have any understanding of the trucking industry. There aren't any little tightly held secrets to success among a special group of owner operators that keep them at the top of the food chain. This is a commodities business. There aren't some kind of regularly available super great runs that you can cherry pick. The rates are up and down all the time and very cyclical. There are times when nobody can make any money at it, and the competition is fierce. Even a commodity business has relationships within. And if there is one golden rule in business, relationships can trump the overall market to a degree. Remain near that cost structure, foster those relationships, along with excellent/dependable service. That would be a concern, when megas are willing to work at a loss to squeeze out competition. The only problem is that there are far too many players in the business, from what I see, to achieve that level of monopoly. I agree, you want to be well insulated for those low points in the cycle. That's why we don't appreciate you trying to teach people in here about your business methods - you don't understand this business. You may have been successful at other businesses, but that doesn't tell us anything about your business acumen as a trucker. We are happy to have you in here if you want to learn, but please stop with all the advice! Thanks for confirming the things we pretty much knew already, but try to educate yourself in here instead of coming on like you are some sort of expert. You are only making it obvious that you are not. It was never my intent to try to come off as a know it all, far from it. I agree, to listen far more here than become vocal, wise words. But I had to say something on this matter because, so far, all I've seen on this forum, is a one sided discussion that fails to address counterpoints that seem obvious to my eyes, from my own business experiences . That's not true Mark. We like to deal with facts in here. We believe facts - that is what we want to believe. So far you have been completely void of facts. You've done a lot of talking as if you know what you are talking about, but it's pretty obvious to us you like to believe your own ideas while not even putting them into practice. Nobody with any decent business sense manages to put back the type of money you are talking about and then risks it all on a one truck Owner/Operator gig where they are going to primarily be cherry picking the loads they want to run whenever they feel like taking a little time away from their hobbies. That's why I like this forum for it's contrast to other forums. As your experienced words do carry weight. But from what I have seen, so far, from others business experiences and my own. It probably isn't in the successful OO's interest to reveal their methods to a public forum in the event they only invite competition at their own demise. Especially if they are borrowing money to finance their own operations. Tractor Man, I don't know much about Mark M, but I certainly don't believe he's an O/O. If he is, he's very new to the game. His comments make it obvious. Yes, I'm not an O/O, in fact, not even a company truck driver. But I have had great success in building my own small businesses in the past. Having been retired for over the past ten years and no longer interested in going back to those business models from the past, I am about to set out on a new path in truck driving. Hope to learn a lot at the companies expense the first year or two, then reevaluate my options. I have read about other successful but mostly not so successful OO's on other forums. The industry is definitely stacked against the small operators. And yes, I agree, that it may be more wise to seek different passive/low active investments as you achieve wealth. Let's just see, should be fun!! These type comments are always amusing to me. If anybody can show me some hard evidence that they now get to work less, make more money, and have "much greater" time off because they've become an O/O, I'd be reallly impressed. Unfortunately no one has ever been able to produce that evidence. You don't necessarily have to both make more money and have more free time to consider OO a success. One should probably go into being an OO for the freedom of schedule/free time and return on investment as a solo driver. To grow in size/scale would be a far different pursuit. As far as evidence, probably because there are far, if not few who have to discipline to achieve self sufficient wealth while continuing on as an OO. And even if someone came onto this forum to describe their prescription to success, few would believe it and throw doubt on those findings. In other words, your going to believe what you want. We've got a few really talented O/O's in here as members. If any of what Mark M is saying here were true, these guys would confirm it for us. I've been in business for years - it always requires more work and more sacrifice than being an employee. There are no shortcuts to wealth or achieving a higher income. Don't deny that the pursuit of maximum return and growth does require more sacrifice, especially in time. But that's not what I'm prescribing as a well off OO. True, there are no short cuts, you need to save and work hard to get to a lifestyle of allowing money to work for you. But it does get easier as you achieve wealth. Hummm... I'm not convinced these guys get greater time off to pursue other interests/hobbies unless those hobbies are fixing their own truck and doing book keeping. In truth, like a lot of new small business owners. Most folks will fail at their new business for many different reasons. Thus my "fool proof" method of success or at the worst breaking even. Which is the only scenario outcome that would allow me to start up a new business. Translation: You'd better have considerable savings put aside. Why? Because you're gonna need it. More so, you should have enough to finance your entire startup with cash. You should have zero debt obligations including your home and have additional savings. You should have at least a couple years of driving experience. By being in a position of standing, you will not be under pressure to except work that doesn't fit your model of economics. It's about quality, not quantity, as an OO. As long as your return on your investment, your time, exceeds an alternative passive model, you will happily succeed and grow the business thru the inevitable cycles. This would be a choice of life style for those who value their free time as much as their return on investment. The most successful investments are those businesses of your own making. The reason those older guys are going LO/OO (more so OO) isn't only about the money but about the quality of life. As an OO your cherry picking your loads that fit your economics. Your no longer running for quantity but for quality. Meanwhile your time off is much greater to pursue other interests/hobbies. You only run hard when the economics dictates so. This is not for everyone. You need to be in a position of standing that allows for this unpredictable model of business. So bottom line. Paid a total of 61 cpm, no insurance benefits. But as an independent business, non company, driver, which includes some tax benefits if so structured. In fact, if done properly, there would be very little tax liability (mostly social security) after full 401k or sep contributions and full per diem. Question, what risks did this driver take on as a lease holder? Was there a risk of high maintenance costs, downtime? What we're the maintenance costs? Regardless of risk factors, the lack of benefits alone, would make me not want to be a lease holder but a company driver. At minimum, I would need to net a buck a mile for the risks/extra non driving work and lack of insurance benefits. 61 cpm is not worth it. Thanks Rick, for the alternative sources. Glad you investigated further to confirm my own findings. In this case, the per diem concerning driver benefits, tax wise, is a personal decision outside the companies interests. Take the per diem because overall it financially benefits you personally. How or what the company benefits from it, is their concern. But every once in awhile the planets do align and benefit all parties. Despite taking my company's voluntary per diem, I get whopped hard on tax withholding. Last year I paid in over 10 grand between state and federal.. and that's WITH per diem. I owe my state about $200 and got back ~$2k federal. It works well for me. If I didn't take perdiem I'd be taxed even more and get crazy refunds (overpayment ) of $5-8k. Still trying to get it a bit closer because I don't care to give the feds an interest free loan. You we're smart to take the voluntary per diem from your company. Yes, you lose out on the FICA, matching company FICA, but you gain on the federal and state income tax. As long as the company is not charging (or excessively) for the per diem, we company drivers would be fools not to take the per diem. The gain is much greater in tax savings than any future SS payments, especially if you we're to invest that money yourself. Of course the company saves on not having to pay matching FICA but they only get to deduct 80% of these per diem funds for a tax expense. Note, would be 100% on wages. So it's more or less a wash for the company. If you really wanted to lower your state and federal taxes, maximize your 401K and IRA contributions. Better, in addition, if possible, claim residency in a tax free state and eliminate state taxes. Keep in mind - trucking companies didn't come up with per-diem to do DRIVERS a favor. It was to do THEMSELVES a favor by saving millions in matching funds on fed tax withholdings. Yes, definitely, before the Trump tax cut of 2017. Now it is the ONLY choice for company drivers as a "tax free" reimbursement. Look at it this way - .13 per mile in per diem pay X 3,000 miles a week X 1,000 drivers X 52 weeks a year - the company "saves" (pockets) $1.5 MILLION in matching funds they would otherwise have to pay into taxes. Despite the "perceived benefit" of drivers having a few more $$ in their paychecks week-to-week, the companies were seeing a big time addition to their bottom lines, without lifting a finger. Thanks to the Trump tax cut, we, company drivers, don't have a choice. How the company benefits is beside the point. Back before the changes in tax code, you could deduct 80% of the $62 daily allowance for every full day away from home. So if you were away 330 days per year - you could take a roughly $16.3K deduction. Which, (when balanced against the old $6K standard deduction) and all the other non-reimbursed deductions that were allowed, made for a sizable bite of your AGI/taxable income. Per-diem is for meals and other expenses when working away from home. Other expenses (gloves, etc. ), all added up to a good reason to itemize previously. This is all old news. New reality is here with 2017 Trump tax cut. Keep in mind also - for most companies, per diem is NOT OPTIONAL, it is mandatory. With todays tax code - it will almost certainly lower your refund (if any), because it still counts as INCOME (even though taxes are not withheld on that amount). This is completely false. Per diem reimbursement is not considered income. Please cite your source for this finding. The reason for lower refund is because new withholding percentages have changed and we're not adjusted from previous tax years before 2017 Trump tax cut. Yes, the tax code has changed dramatically, October 1st, 2018. Per-diem, as far as company reimbursement, is treated as non income, thus will not be included on ones gross income. 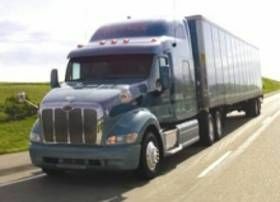 Company drivers no longer can itemize per-diem separately on their tax returns. So if you want this "tax free money or "properly termed" expense reimbursement", you must take it through your employer. Since this is considered an expense reimbursement, there will be no FICA or personal taxes on the per diem. No, this expense reimbursement, is not added back to your gross income since it never was income. As far as rules for the companies and how they treat or record these reimbursements. That is on them and there is much to be concerned in how a company needs to handle it. But as far as company drivers. The per-diem is a good thing to take if you have the voluntary choice to do so. Oo's have no changes on handling of per diem. Jim Palmer Regional Company Driver - Thoughts? Yeah ask them and update us. contracts change all the time too. the contract i signed is completely different from the Prime students today, It is possible you may get a different explanation as to why they want it, but its good to know. I see your from MN. Try Magnum LTD, no contract required, great reputation/training for new drivers. Doesn't hurt to have other multiple offers.